This model is 6' 2" and wears a size M. Their chest measures 40" and the waist 32". Dig deep for an extra set in this men's training t-shirt. 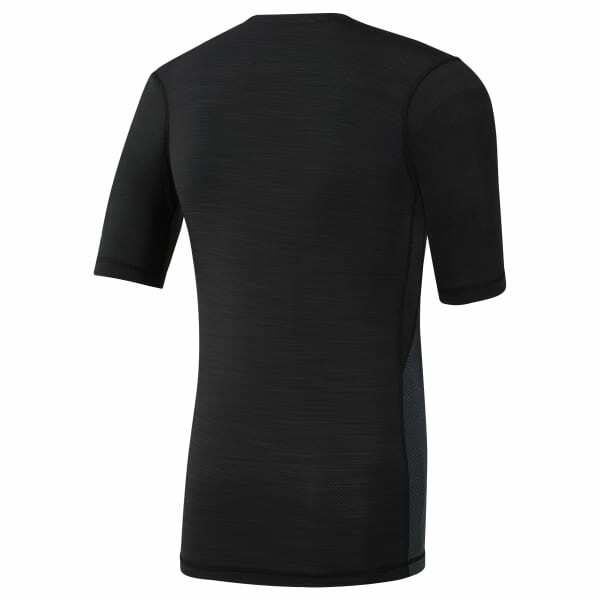 It's built in a high-stretch compression fit and features flatlock seams that lie smoothly against the skin. Enhanced breathability and sweat-wicking fabric provide cool dryness with every rep.